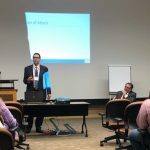 HARRISBURG (November 16, 2018) — The Rehabilitation and Community Providers Services Organization (RCPSO) today announced a major initiative to support disabled individuals in their pursuit of meaningful community employment. RCPSO is partnering with PA Heath & Wellness (PHW) to offer employment services throughout the Southwest PA Community HealthChoices (CHC) Region. CHC is a state program administered through the Department of Human Services (DHS) for Managed Long Term Services and Supports (MLTSS) and went live in January 2018. “Pennsylvania is an Employment First state, noted Richard S. Edley, PhD, President and CEO of RCPSO. “Our providers have been actively working with participants in all areas of funding to be engaged in meaningful community employment and participation. PHW is the first of the CHC managed care organizations to offer this comprehensive employment approach. The Community HealthChoices program was developed by the commonwealth and championed by Governor Wolf to support older Pennsylvanians and individuals with disabilities living in the community, giving them the opportunity to spend more time with their families, be part of a neighborhood, and to experience an overall better quality of life. Integral to community living is employment and the opportunity to work. PHW and RCPSO intend to offer these services immediately, as well as begin a process of community education on access to, and benefits of, these services. Individuals interested in these employment initiatives are encouraged to contact Fady Sahhar. 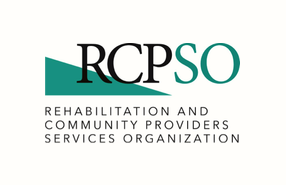 About the Rehabilitation and Community Providers Services Organization (RCPSO): RCPSO is a managed care services organization owned by provider organizations throughout Pennsylvania. RCPSO has developed numerous products for MLTSS and CHC. It is a spin-off company from the Rehabilitation and Community Providers Association (RCPA). With well over 300 members, RCPA is among the largest and most diverse state health and human services trade associations in the nation. RCPA provider members offer mental health, drug and alcohol, intellectual and developmental disabilities, children’s, brain injury, medical rehabilitation, and physical disabilities and aging services, through all settings and levels of care. Visit www.paproviders.org for more information. 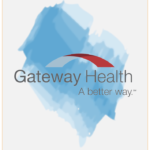 About Pennsylvania Health and Wellness (PHW): Established to deliver quality healthcare in the state of Pennsylvania through local, regional and community-based resources, PA Health & Wellness is a Managed Care Organization and subsidiary of Centene Corporation (Centene). PA Health & Wellness exists to improve the health of its beneficiaries through focused, compassionate and coordinated care. Our approach is based on the core belief that quality healthcare is best delivered locally. Visit www.pahealthwellness.com for more information.